The brief was to create a campaign for a week long sale. 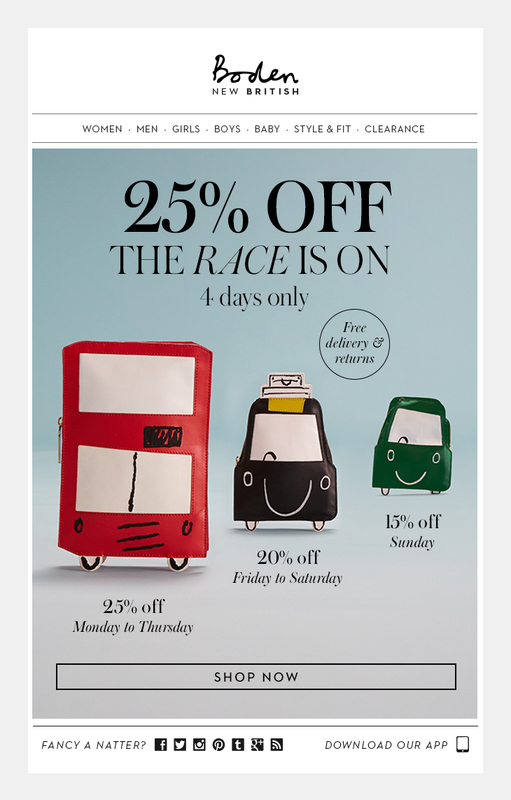 Starting at '25% off' for 4 days, before dropping to lower percentages as the week continued. A requirement was to use three objects which diminish in size, to visually show the offer. The concept was to create a race between different forms/sizes of London transport, to reinforce the short timeframe of the promotion. 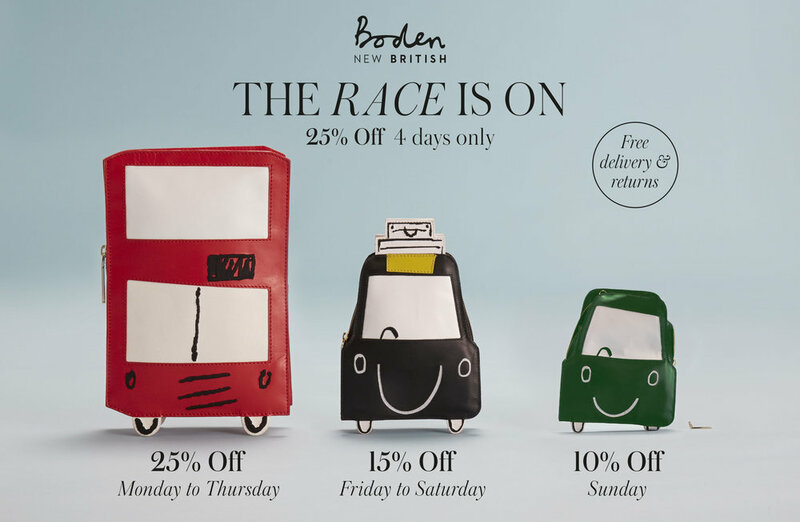 Bags from the current Boden range were brought to life through a series of photographs and made into simple animations. The campaign was rolled out across all marketing channels; post card, series of daily animated emails, website graphics and social media. It had a huge uplift in sales, one of the best trading weeks for that month in Boden history.